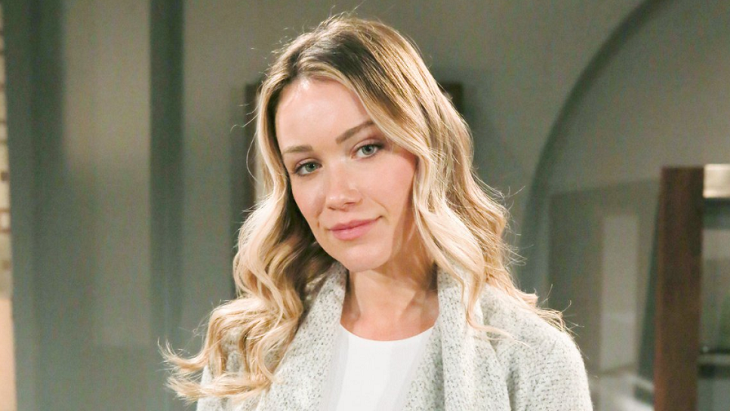 Flo Fulton (Katrina Bowden) has quickly become a focal point on the Bold and the Beautiful. So, how will her revealed secrets impact B&B in the near future? Having one major secret would be plenty for a newly introduced character to hold. But B&B is furthering a two-fold chaos drop. Flo is not Phoebe’s biological mother, meaning that Hope Logan (Annika Noelle) and Liam Spencer’s (Scott Clifton) first child will be unmasked, which will also affect Steffy Forrester’s (Jacqueline MacInnes Wood) life immensely. However it happens, with the details, of course, being important, Phoebe’s revert to Beth will alter Lope’s trajectory. Either Hope and Liam will bond, as would normally be expected after an outcome of this magnitude, or they’ll experience some type of marital turmoil, up through and including a breakup. Bold And The Beautiful Spoilers – Will Steam Reunite Through Baby Reveal? A Steam revival could also result through the Phoebe-is-Beth reveal. The momentum for this to happen is currently being telegraphed through the bond Hope has formed with Douglas Forrester (Henry Joseph Samiri) and her reconnect with his father and her former flame, Thomas Forrester (Matthew Atkinson). Meanwhile, Flo is also searching for her father. Wyatt Spencer’s (Darin Brooks) act of kindness toward his former high school sweetheart first led to him thinking that Bill Spencer (Don Diamont) could be the paternity match. As to the identity of Flo’s dad, buzz regarding a genetic connection to the Logan’s makes sense. With whatever comes first, the Beth revert, or the paternity answer, having Flo be connected to Hope would create intense drama,. Bowden is more than a recently hired cast member, she’s a regular contract player. That means the Reese Buckingham (Wayne Brady) storyline was actually a plot vehicle to introduce Flo into the show long term. Flo feels likely to become an important person in this fictional version of Los Angeles, California. So whatever family she’s tied to is a key strategic choice for B&B’s decision-makers. Fans of the Bold and the Beautiful rightfully express their opinions on a regular basis. So, will Flo’s revealed secrets cause major impacts on B&B? Please vote in our poll below! Will Flo's Revealed Secrets Cause Major Impacts On B&B? Soap Opera Spy is a leading source for everything linked to the Bold and the Beautiful. Make sure to stay tuned to CBS the Bold and the Beautiful to find out. Don’t forget to check often with Soap Opera Spy for all your latest spoilers, news, updates, and much more!